Home presentation	You Can Lead a Horse to Water… but How do You Make Him Drink? You Can Lead a Horse to Water… but How do You Make Him Drink? It really amazes me how people are so skeptical about being successful. That’s where that “stinkin’ thinkin'” thought process allows you to really miss out on life. It really all boils down to DESIRE!! The fact that our world has become so lazy is partly to blame. Everything we do or touch has gotten easier with less effort required on our part over the past few decades. The idea that a person would have to commit to a business requiring them to go to work even if it can make them so much more money than they currently make is not enough to get them to step out on faith because of the fact that laziness is an easier option. People today avoid success for the fear of being held responsible where they have no control of being lazy. Folks, YOU HAVE A CHOICE on the outcome of the success of YOUR own future. The person who lets life get in the way, makes excuses, and then one day looks up and wonders what happened. This is why it has been such a passion of mine to help educate people. You hear people in our industry say, “If you only knew how vital it is for you and what’s at stake…” But they don’t know what can be gained if you aren’t showing social proof. I have seen people walk away with no interest in improving their life and still those same people complain today and struggle all the while as I post the opportunity to help and show social proof of my success. You will still have people who will never see it. So remember when someone tells you “No”, IT’S NOT YOU!! It’s all about timing. Maybe the pain is not so bad for them, but by staying in touch with these folks you’ll be ready when circumstances change, when the pain becomes unbearable. No one cares what you have until you find a solution to their problems. 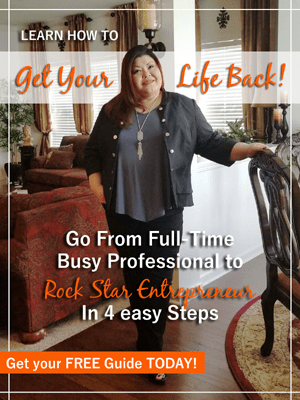 After a while of them seeing you move up in your business and the success you’re having that is usually enough social proof for them to finally join you. You see ads and posts on media and the internet of exotic cars and big mansions and people bragging about dream lifestyles. It almost seems unrealistic. That’s what your prospect thinks, too. There are two elements of social proof: activity and results. For most people you come across, even if they want that dream lifestyle (most people would admit that it would be nice), they are first concerned about paying the bills they have, having enough in case their car breaks down or they have to repair their home, or to take just one vacation. People start in network marketing with small successes and grow with that. You need to show, share, and celebrate people from all walks of life in your business that are making any kind of income. The other piece of that is activity. When you show daily or frequent activity people take notice. It could be home parties, events, or new people joining your team. Of course, you want to also share the big successes: promotions, trips, bonuses, income; but, it’s the small consistent steps that tell the people who are looking into joining your business that they can do it and that you’ll be there to support them. You can tell them that you’ll be there with them, but the proof is in the pictures and results of what you do. So, you’ve interacted with your prospect, you’ve presented your opportunity and have shown them proof that your product/service is valuable and wanted, and that people in their similar situation are making money sharing this. Sounds like a no-brainer, right? So, why haven’t they signed? People are afraid to do something new, afraid to get uncomfortable, afraid to move, afraid that they’ll be held accountable. They forget what it is that made them look for a change, for extra income in the first place. It’s just easier to keep living the same old life with the same old troubles, than to put forth some effort and do something about it. If you’ve done your exposure and have had a conversation (or a few) with your prospect, then you should have covered their ‘why’. Why do they want to start their own business? Why do they want to make a change? Why do they want to earn extra income? Almost nobody says that they have a load of extra time on their hands and they just thought it would be fun. They are in need. You need to remember what that is, so that you can remind them. 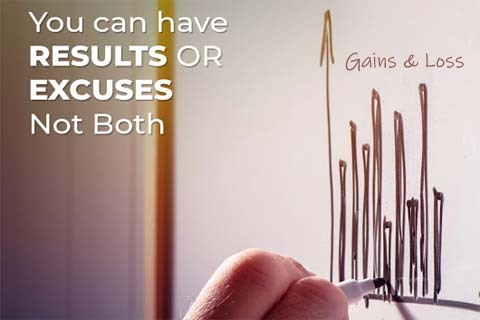 When they start giving those doubting signals, you can bring them back with “Didn’t you say you needed to earn about ____ extra dollars a month?” “Well, you did say that you needed to be able to have more time with your family without sacrificing your income.” The list goes on, but the point is that though you have a solution, they need to be reminded of their problem so that the two will connect. You can provide all the social proof of other people on your team or in your company who are moving, shaking, and making their dreams reality. You have already tied together how what your prospect needs with your opportunity and how the two fit. But, here’s the last critical piece. Are you part of that social proof? Are you active? Are you earning income, going on trips, winning contests, and most importantly ARE YOU MOVING UP IN YOUR COMPANY? You can’t rely on other people to grow your business. You need to be in action and activity yourself. People want to know where you’re going to know that you’re moving and that if they join you they aren’t going to just sit on the sidelines while other people pass them by. Remember, your new person does not know what to do; it is your job to start them off and how can you start them if you haven’t started yourself or have had enough practice to guide them. You have to try and fail and learn; you have to be bad before you’re good. Don’t be afraid to make mistakes, you have to in order to build the skills and confidence to grow. There are many people who will wait to be good before they get out to market and recruit. That fear is what keeps you from starting. Just get out there and do it! You’re people will see that it’s ok to make mistakes, that it’s a process. Your team will do what you do. What is it going to take to make a decision and move forward? It’s like riding a bicycle. You can fear it, never get on the bicycle and never learn how to ride it. 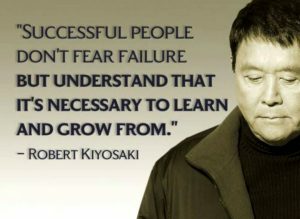 OR, you can fear it, get on anyway, stumble and make mistakes, and keep going until you learn. Then, you’ve mastered riding a bicycle. You can ride fast or slow, uphill and downhill, around obstacles and you get pretty good at it. Then, you’re equipped to teach the next person to do the same. You can show that person that other people are riding bicycles, but to show them how you have to do it yourself. Your activity in your business is the strongest factor in pulling someone to join you, with social proof as evidence that it works not just once, but over and over. Unfortunately, this industry has created the stereotype that people join and are left to fend for themselves. We have to break the chain. If we can get behind helping to get people over the “stinkin’ thinkin'” mentality that we in this industry have started ourselves, it will become easier to sign them up because their concerns and fears will be less prevalent. It’s all about doing, teaching, and repeating. When you combine your confidence in your business – through success and constant movement – with your prospects’ need to make a change, you allow their fear to start something new diminish as they know you’ll lead the way. 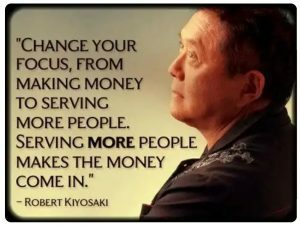 I like the statement,” to change my focus, from making money to serving more people.” Learning to listen is the key and not tune out after you have heard their 10th problem. This teaching reminds me of where I’m slacking and how to regain focus. I agree that steady action is key to building a business. Thanks, Jennifer, for sharing.